The interest income from POMIS is taxed as per the income tax slab of the investor. If the investor is in the highest tax bracket, their monthly income for Post Office MIPs will be taxed as 30.9%. On the other hand monthly dividends from the mutual funds MIPs are tax free in the hands of the investor, even though the fund has to pay a dividend distribution tax. Due to the change in the methodology of calculation of Dividend Distribution Tax (DDT) announced in this budget, the effective dividend distribution tax paid by the fund will increase. In the previous tax regime, DDT was levied on the net dividends (after DDT) paid to the shareholders. As per this Budget, DDT will be levied on the gross amount, i.e. the dividends declared before DDT. This will certainly impact the returns for the MIP investors. However, mutual fund MIPs will still be more tax efficient than Post Office MIS, for investors in the highest tax bracket. The maximum investment limit in Post Office MIS is only Rs 4.5 lacs in one account in POMIS, or Rs 9 lacs if the investor is investing in a joint account. There is no such limit on investments in MIPs. Therefore, it makes more sense for investors with higher investible corpus to invest in mutual fund MIS. The distribution reach of mutual MIPs is nowhere as extensive as that of Post Office MIS. The postal network in India is vast and reaches even villages. The distribution network of Mutual Fund is quite limited compared to postal network. Even though monthly dividend options of MIPs aim to pay dividends each month, they do not guarantee monthly payments to investors. In equity market downturns, it is common for mutual fund MIPs to miss out on monthly dividends. Even if they pay monthly dividends to the investors, the amount of monthly dividends is not assured. Post Office Monthly Income Scheme (POMIS), on the other hand, offers guaranteed 8.5% annualized returns to investors. These drawbacks can be somewhat addressed by the mutual fund industry by expanding its distribution reach and through sustained investor awareness and education programmes. If investors are willing to take small amounts of risks and sacrifice guaranteed monthly income then mutual fund MIPs can provide greater returns in comparison to post office MIS. 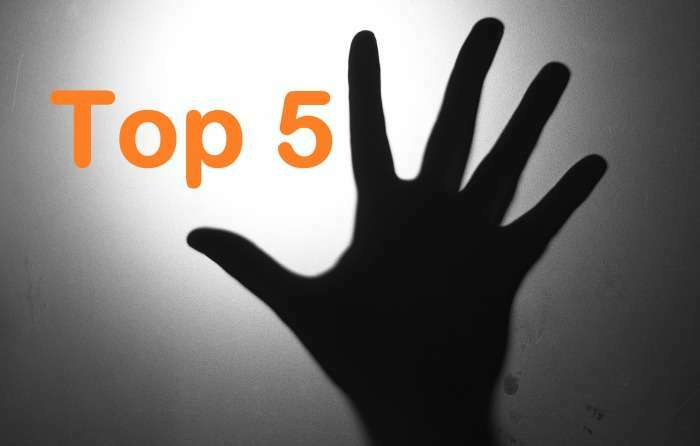 In this article, we will review the top 5 Monthly Income Plans, based on the most recent CRISIL ranking (March 2014). CRISIL ranks equity funds based on several parameters like average 3 year annualized returns, volatility, portfolio concentration risk (both industry and company), debt asset quality and portfolio liquidity (both debt and equity) risk. On each of these parameters, each scheme is accorded a cluster rank (from 1 to 5) relative to its peer group. To derive a composite cluster rank, CRISIL has assigned different weights to each parameter, with average 3 year annualized return given the highest weights at 50%, volatility 30%, industry concentration risk 10%, company concentration risk 5% and liquidity risk 5%. The period of analysis is broken into four periods, latest 36, 27, 18 and 9 months. Each period is assigned a progressive weight starting from the longest period as follows: 32.5%, 27.5%, 22.5% and 17.5% respectively. This scheme was launched in Apr 2004. Please see the chart below for the one, two, three and five years annualized returns from this scheme. The minimum investment in the scheme is Rs 5,000. The asset allocation of the portfolio is 29% equity, 67% debt and 4% cash equivalent and others. Please see the chart below for the monthly dividends declared by the scheme, on a per unit basis, over the last 5 years. This scheme was launched in Dec 2003. Please see the chart below for the one, two, three and five years annualized returns from this scheme. The minimum investment in the scheme is Rs 5,000. The asset allocation of the portfolio is 25% equity, 56% debt, 14% money market and 5% cash equivalent and others. Please see the chart below for the monthly dividends declared by the scheme, on a per unit basis, over the last 5 years. This scheme was launched in July 1988. Please see the chart below for the one, two, three and five years annualized returns from this scheme. The minimum investment in the scheme is Rs 5,000. The asset allocation of the portfolio is 25% equity, 67% debt, and 8% cash equivalent and others. Please see the chart below for the monthly dividends declared by the scheme, on a per unit basis, over the last 5 years. This scheme was launched in Feb 2004. Please see the chart below for the one, two, three and five years annualized returns from this scheme. The minimum investment in the scheme is Rs 5,000. The asset allocation of the portfolio is 25% equity, 69% debt, 3% money market and 3% cash equivalent and others. Please see the chart below for the monthly dividends declared by the scheme, on a per unit basis, over the last 5 years. This scheme was launched March 2004. Please see the chart below for the one, two, three and five years annualized returns from this scheme. The minimum investment in the scheme is Rs 5,000. The asset allocation of the portfolio is 24% equity, 72% debt and 4% cash equivalent and others. Please see the chart below for the monthly dividends declared by the scheme, on a per unit basis, over the last 5 years. Top performing monthly income plans from reputed fund houses, have provided good monthly income especially compared to post office MIS. Investors who are willing to take a bit of risk, can opt for mutual fund MIPs for getting higher returns associated with the equity portion of the portfolio mix and the greater tax efficiency associated with MIPs for investors in the highest tax bracket. Investors should consult with their financial advisers, if mutual fund MIPs are suitable for their income needs.